In the Defense Against Infectious Disease unit we will learn that pathogens and viruses invade the body and cause diseases. Most pathogens are bacteria and viruses, but protozoan, parasite worms and fungi can also be pathogenic. You will also learn the mechanisms in which the body defends itself against these pathogens. The human body has structures and processes that resist the continuous threat of invasion by pathogens. 6.3.U1 ​The skin and mucous membranes form a primary defence against pathogens that cause infectious disease. Skin and mucous membranes are physical barriers against infection from pathogens. Skin is constantly replacing its outermost epidermal layer of skin. These dead cells provide effective protection against foreign pathogens. Skin also secretes a substance called sebum to lubricate the skin. The sebum also lowers the pH of the skin, which effectively helps inhibit bacterial growth. Mucous membranes line the surfaces of the nasal cavity, trachea, bronchi, and bronchioles (surfaces that are exposed to the outside environment). Mucous traps foreign particles and pathogens contained in the air before they reach the lungs. Mucous contains lysozymes (enzymes) that can damage and kill pathogens. Trapped pathogens can also be expelled through the mouth or nose, or swallowed and destroyed by the high acidity of the stomach. Skin and mucous membranes are examples of non-specific immunity. 6.3.U2 ​Cuts in the skin are sealed by blood clotting. 6.3.U3 ​Clotting factors are released from platelets. 6.3.U4 ​The cascade results in the rapid conversion of fibrinogen to fibrin by thrombin. The clotting factors convert the clotting protein prothrombin to its active form thrombin (enzyme). The enzyme thrombin converts clotting protein fibrinogen (which is soluble) into the insoluble fibrous protein fibrin. Fibrin forms a mesh at the point of the broken vessel further trapping other platelets sealing up the damaged vessel and forming a stable clot. Once the damaged vessel has fully healed, the blood clot dissolves in the blood. 6.3.U5​ Ingestion of pathogens by phagocytic white blood cells gives non-specific immunity to diseases. Another type of non-specific immunity (not antigen specific and response is immediate) occurs when phagocytic leucocytes ingest and destroy foreign pathogens. When pathogens managed to get by skin and mucous membranes a second line of defense is available to remove them, phagocytic leukocytes ingest any pathogens in the blood and body tissues. The main types of phagocytic leucocytes are called macrophages. When pathogens get past the physical barriers, macrophages will engulf foreign pathogens through endocytosis. Pathogens are recognized as non-self cells by the structure of their protein coat. Once the pathogen is engulfed, lysosomes within the macrophage contain hydrolytic enzymes that will digest and destroy the foreign pathogens. 6.3.U6 ​Production of antibodies by lymphocytes in response to particular pathogens gives specific immunity. The active B-lymphocytes that are produced are called plasma cells which will begin to produce antibodies. The plasma cells created, produce and release mass amounts of antibodies into the bloodstream. 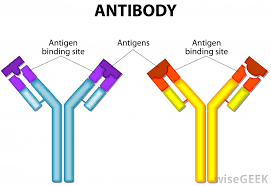 These antibodies surround and bind to the antigens on the foreign pathogens. Through a variety of different methods the pathogens are destroyed by the antibodies and other white blood cells. Antibiotics are effective against bacteria but not against viruses. Antibiotics block specific pathways found in bacteria. Viruses do not have their own metabolic pathways, therefore, in order to reproduce us to use the metabolic pathways of the cells they infect. Antibiotics are not effective against viruses that have infected human cells because the metabolic pathways are not affected by the antibiotics. ​6.3.A1 Causes and consequences of blood clot formation in coronary arteries. If the arteries are blocked, that part of the heart becomes deprived of oxygen and vital nutrients. Atherosclerosis is a disease of the arteries characterized by the deposition of plaques of fatty material on their inner walls. The arteries become damaged and coarsened and the wall of the arteries is hardened by calcium salts. 6.3.A2 ​Florey and Chain’s experiments to test penicillin on bacterial infections in mice. Later on, two scientists named Florey and Chain were able to develop a method of growing the Penicillin in liquid cultures and purifying the Penicillin in these cultures. 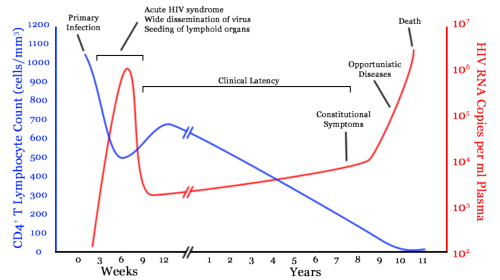 6.3.A3 ​Effects of HIV on the immune system and methods of transmission. HIV (human immunodeficiency virus) is a retrovirus that causes AIDS, which is a condition in humans where the immune system fails and is susceptible to life-threatening opportunistic infections. HIV targets helper-T cells because HIV can bind to the proteins on the T cells. Helper-T cells play an important role in the production of clonal B lymphocyte cells, which produce antibodies for immune response. Therefore the reduction of T cells will reduce the amount of antibodies produced needed to fight off infection from invading pathogens. This inability to fight off disease is what eventually causes the person to die. Check out some more of the videos from the Walter and Eliza Hall Institute of Medical Research. Newborn baby ‘cured’ of HIV with rapid detection and ARV treatment. Great introduction to the topic from the New York Times. Could the design of a condom improve HIV prevention? Here is a South African company who hope so: Pronto Condoms. For a video of how it works (on a plastic model), click here. From Wired: “Superbugs found in New Delhi’s water and sewage,” which claims that antibiotic resistant genes (NDM-1 enzyme) have appeared in Vibrio cholerae. The spread and containment of diseases such as bird flu require international coordination and communication. This video gives a great overview of the cells and functions of the immune system in response to a pathogen. 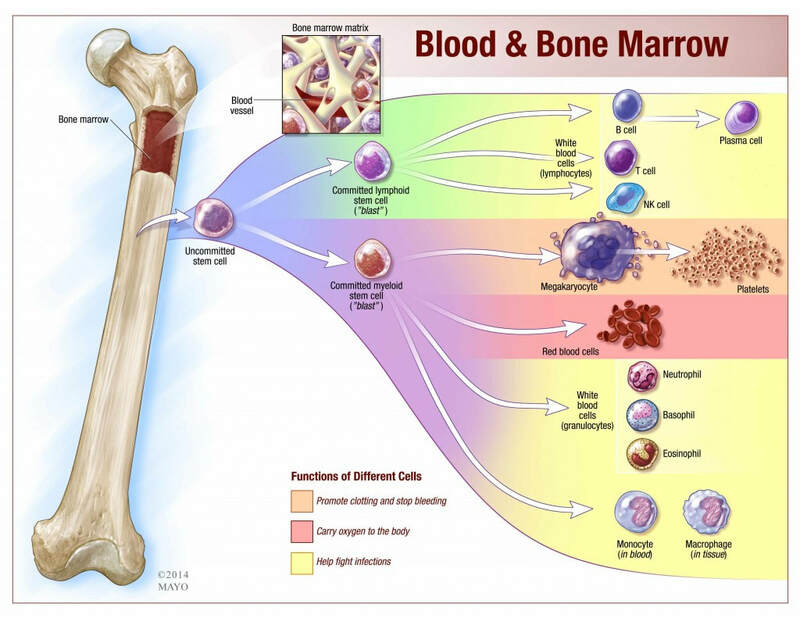 Both the innate and adaptive immune system are explored. So what could happen (and what has in the past) when there is a pandemic? This enlightening BBC Horizon documentary sheds a little light. SciShow News reports some promising new findings about the worldwide fight against HIV, including insights about how we can make the most of one of our newest weapons against HIV: circumcision. 2008, something incredible happened: a man was cured of HIV. In over 70 million HIV cases, this was a first, and, so far, a last, and we don’t yet understand exactly how he was cured. But if we can cure people of various diseases, like malaria and hepatitis C, why can’t we cure HIV?